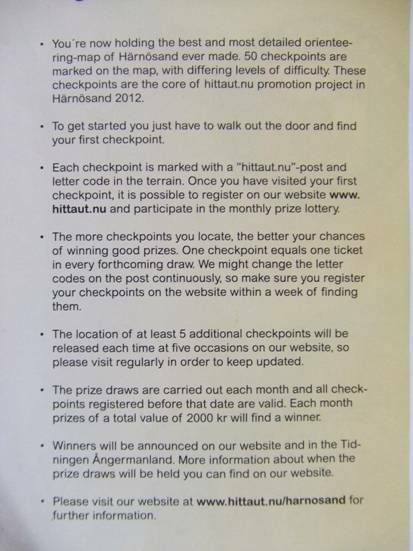 HITTAUT.NU is the best way to have fun this summer. 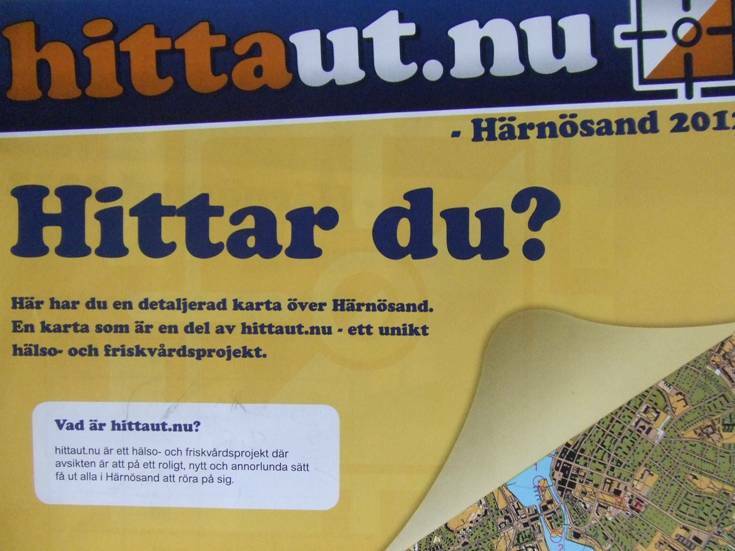 We are enclosing the best and most detailed orienteering-map of Härnösand. 50+ checkpoints are marked on the map, with differing levels of difficulty. You can read more about it on the map enclosed. We have made a package FOR YOUR GUESTS, 5 NIGHTS IN HOTEL FIRST IN HÄRNÖSAND (or if fully booked we can offer overnight at BED & BREAKFAST. You are welcome to test it! ORINTEERING-MAP with short instruction and information. Can be booked through all our partners in GERMANY, SWITZERLAND, AUSTRIA, FINLAND, USA or direct by mail to IHL-TRAVEL@TELE2.SE.